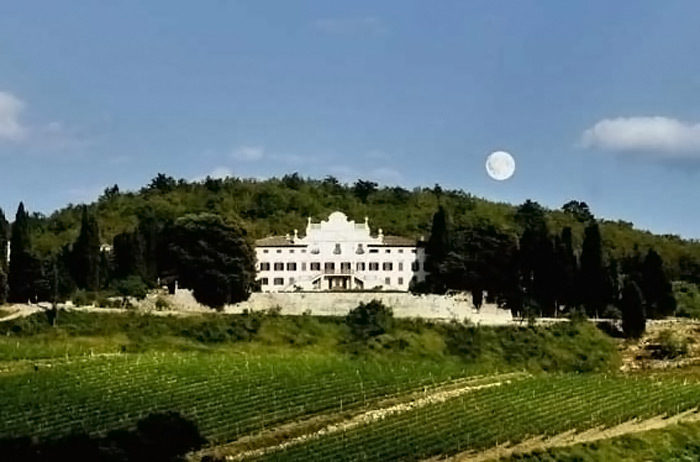 Between the villages of Radda and Gaiole in Chianti, this unique 16th century wedding Villa in Tuscany offers a unique setting for your romantic destination wedding in Italy, in the hills of the Chianti Classico region. 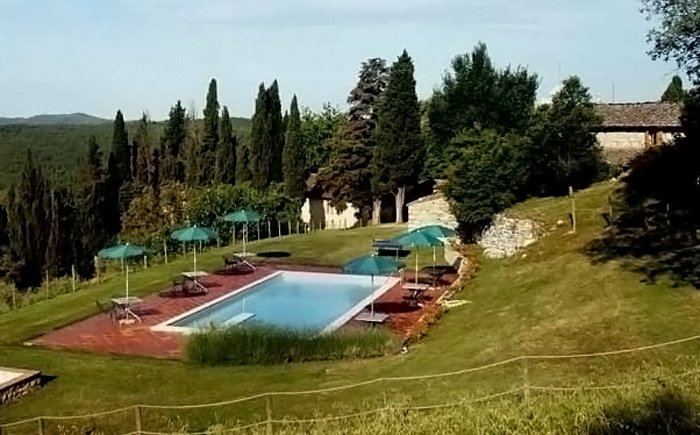 In this lovely Tuscany wedding Villa your guests can find a warm hospitality both in the Villa's rooms and apartments, very cosy and well equipped as well as in the cottages in the large farmhouse part of the estate. 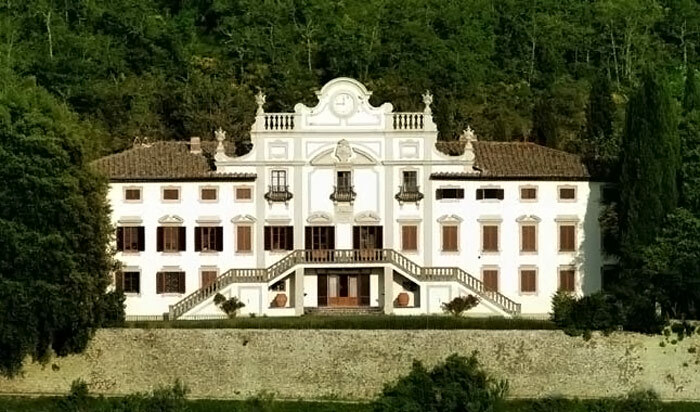 The stunning facade of the Villa, an enchanting wedding venue in Tuscany, offers a unique atmosphere for your wedding blessing and your wedding photos. 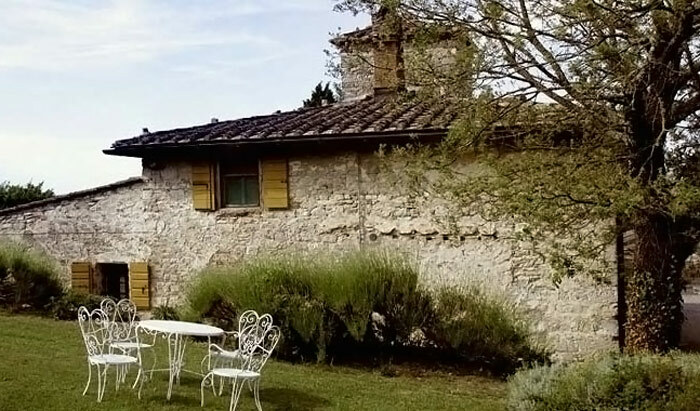 Suitable for small-medium wedding groups (25-80 guests), this Villa features a vaulted historical wine cellar where your guests may experience a wine tasting. A carefully restored Chapel belongs to the estate, where your Religious wedding ceremony or your symbolic wedding blessing may be celebrated. 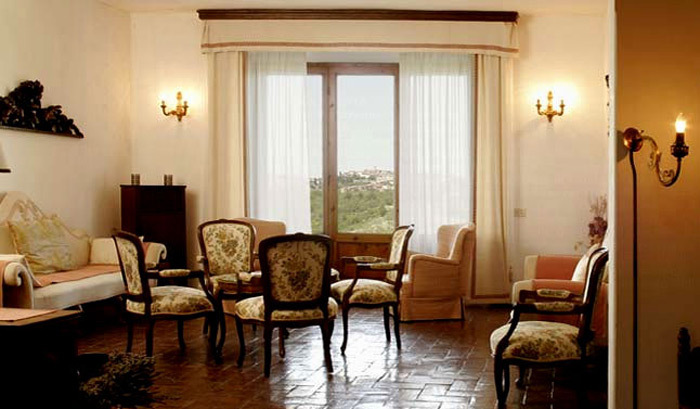 An outdoor blessing facing the Villa is the first choice of your Italian wedding planners. 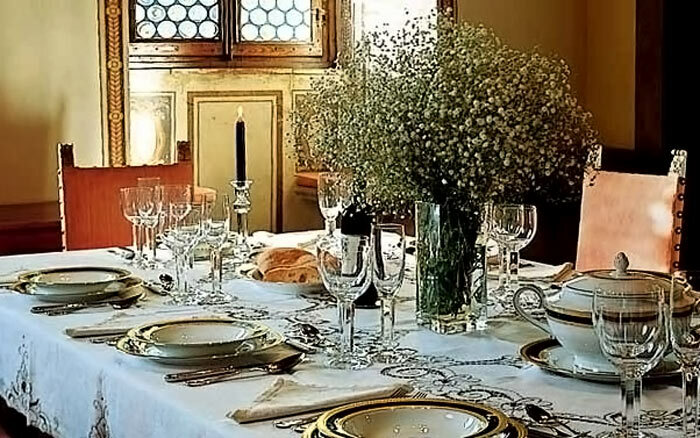 If you choose a Civil wedding ceremony we recommend the beautiful Siena Town Hall or the smaller though delightful Radda in Chianti Town Hall. 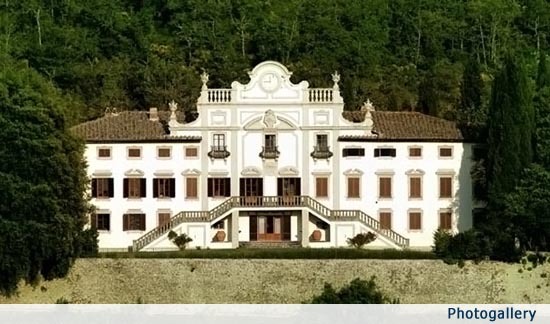 After the ceremony you can have a refined wedding dinner reception in the garden with its breathtaking view on the Chianti valley, while inside this may take place in the Villa's reception hall. The garden area is very appropriate for the aperitif wedding reception. Siena: 35 min. 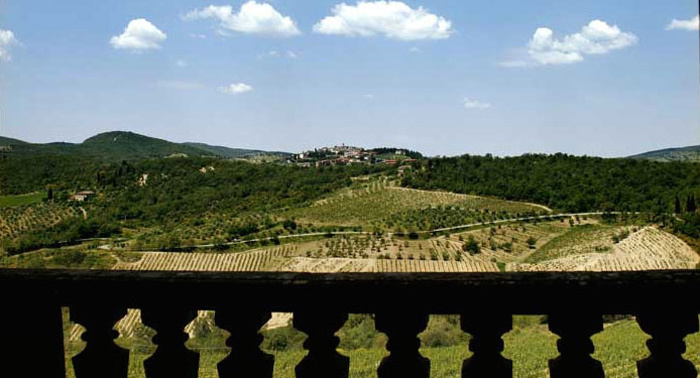 Florence: 1 hour Pisa: 2 hours Cortona: 1 hour 30 min.